GWorkspace allows for easy mounting and unmounting of volumes (disks, usb sticks, CD-ROMs) like you would do manually on console, without the requirement of daemons or other tools. First, be sure your underlying operating system is correctly configured to allow you to do that. 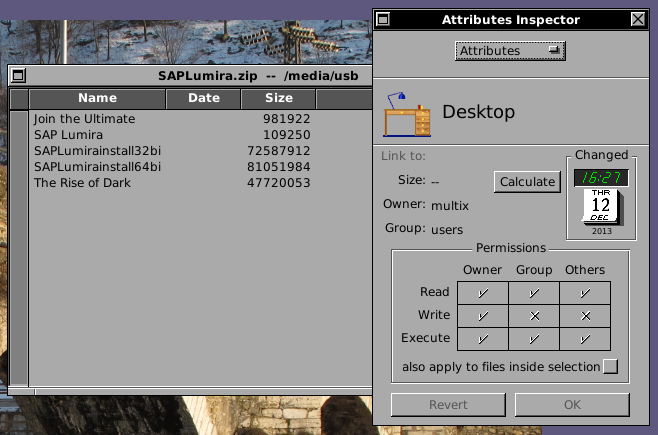 I'll show as example how I configured my Debian system. 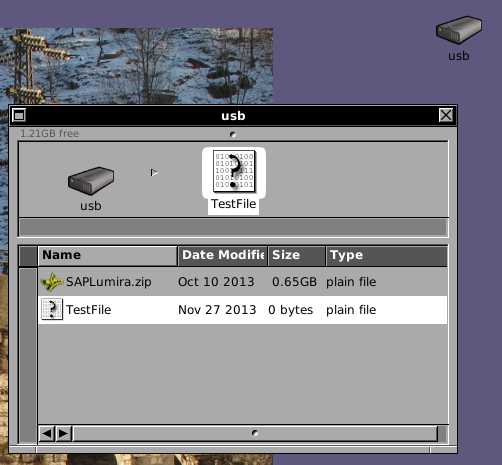 Now, let's add the correct lines to /etc/fstab for our usb entry. The cdrom entry is usually already configured by Debian. 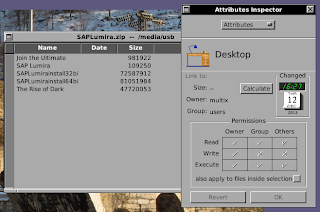 I auto shall determine the file system automagically, while users allows for user permissions for the mounted files. You can check if everything is configured fine if you can "mount" from the command line with your current user. 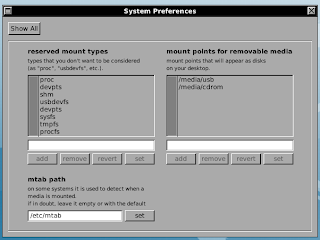 Configure the mount points for removable media, here I have enabled the cdrom and the usb mount points. The mtab path is currently ignored by GWorkspace, so don't bother and the default value is anyway correct for Linux. 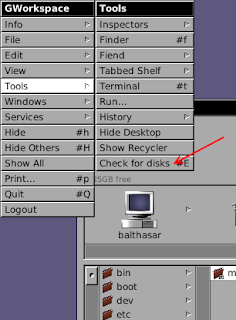 Now, in GWorkspace we can select Check for disks under the Tools menu. If everything goes well, voilà, your volume will get mounted. It will appear on the destkop if you have the Desktop enabled and you can show its content. In any case it shall be visible in the File Viewer in its mount place. If all options are set correctly as suggested, the volume is readable, writable as you can check with the Attributes Inspector. Also we can open the .zip file with Zipper easily. To unmount a volume, just drag its icon to the Recycle Bin. Fixed a nasty bug (I was using the wrong macro) that was causing GWorkspace not to mount removable volumes (like an USB key) on Linux.